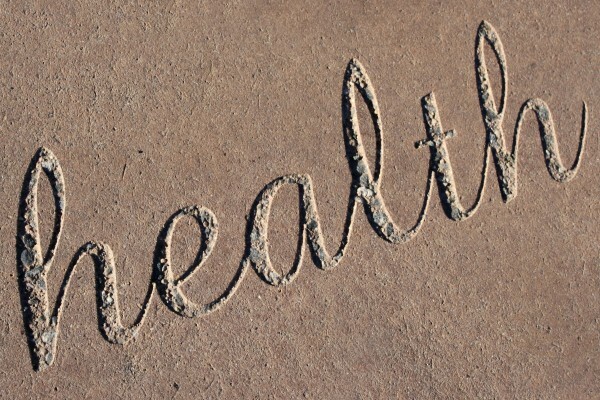 Free high resolution photo of the word “health” written in concrete. This word was part of a sidewalk display – the word health is written in raised concrete or cement on top of the smooth surface of the regular sidewalk. It is in a cursive or script font. Free picture for any use.